Different types of clouds form under different circumstances, although they all originate from the same process: the condensation of water. Though most people would categorize clouds as either fluffy, dark or scary, there are actually many types of clouds classified according to the height they form at and texture. Weather geeks have a reason to rejoice today, as a new kind of cloud formation was identified and described – the first in sixty years to be added to the list! 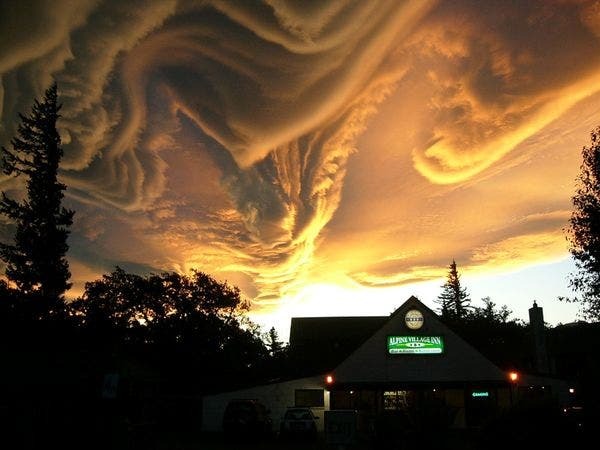 A rare sight, these clouds are wild and turbulent and may form during extreme weather conditions. The odd new formation, called “undulatus asperatus”, has a distinct undulating and rolling motion, as can be seen in the time lapse video above shot over Lincoln, Nebraska. Pretor-Pinney, founder of The Cloud Appreciation Society, a group of cloud aficionados who document and collect cloud formations from all over the world (their website has a very impressive collection), was particularly fascinated by this strange weather pattern and immediately contacted a scientist. Researcher Graeme Anderson studied the clouds and found that indeed these didn’t fit in any documented formation up until now. 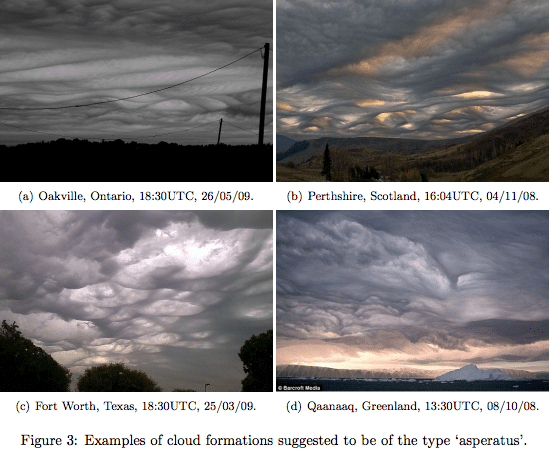 More evidence of these strange clouds was uncovered in footage from Canada, Scotland, Texas and more. A formation made up of well-defined, wave-like structures in the underside of the cloud, similar to undulates, but with less horizontal organization. Asperatus is characterized by localized waves in the cloud base, either smooth or dappled with smaller features, sometimes descending into sharp points, as if viewing a roughened sea surface from below. Varying levels of illuminations and thicknesses of cloud can lead to dramatic visual effects. 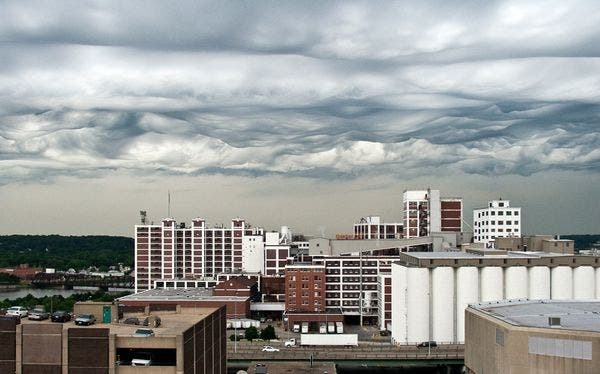 As such, the The International Cloud Atlas will be revised and set for a new edition, which hasn’t happened in forty years, while undulatus asperatus will be recognized as the latest cloud formation to be discovered since cirrus intortus made the cut in 1951.